I might be a geek… but I love a good Blueprint! Well, I just got my hands on the actual Business Blueprint that my colleague Callan Rush uses to create her 7-figure live events business. And right now you can download it for free! Discover these “behind the scenes” secrets. One of my favorite things about the Blueprint… besides for the fact that it’s a real PDF you can download and use… is that Callan outlines EXACTLY what she does to fill all of her programs. She uses 7 specific marketing strategies… All of which you could do too. AND… She even gives tips on how to implement each strategy and provides a timeline for WHEN you should take each step. See the Event Filling Blueprint here. 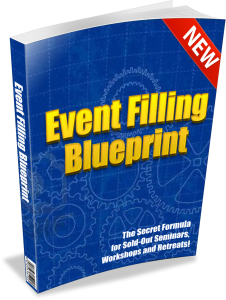 You can use this same exact Blueprint to fill your Group Coaching Programs! Get the Blueprint for free. I really think you’re going to love it too. Check it out and then post a comment below to tell me what you think. Ready to impact even more people? This Blueprint will help… a lot! It’s rare for a highly successful business owner like Callan to share “behind the scenes” secrets like this. Here’s your chance to get a sneak-peek into her multi-million-dollar strategies. Discover these “behind the scenes” secrets now.